Check out our newly featured products that have been recently added to the Market. Updated regularly! 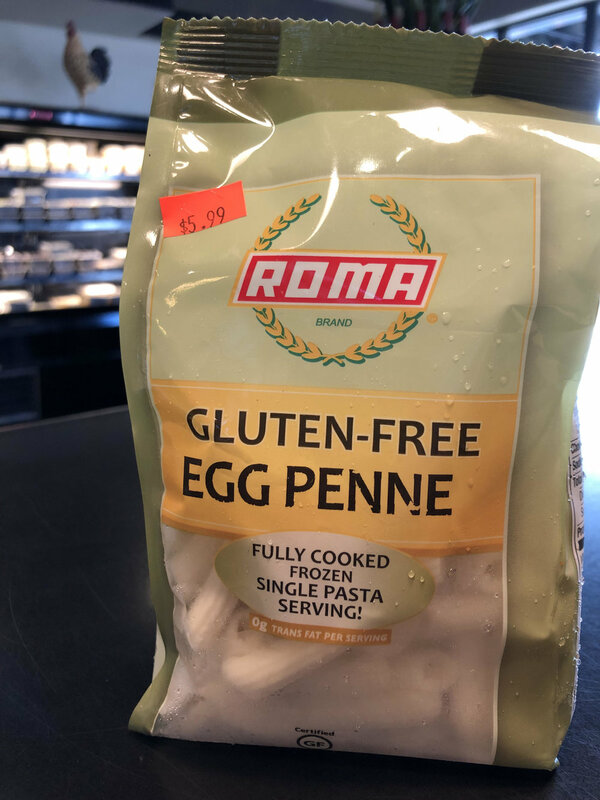 Gluten-free Egg Penne Pasta Noodles- Single Pasta Serving. Gluten-free Penne Pasta tossed with sweet Italian Sausage and Roasted Chicken Breast served in Alfredo sauce garnished with Roasted Baby Cauliflower. Locally grown, fresh heirloom Bradford Collards from Bradford Family Farm.